I'm always on the search for the comfiest flats I can find. I have to work at a lot of tradeshows where I'm on my feet for 12+ hours a day, sometimes multiple days in a row, always in dress shoes. 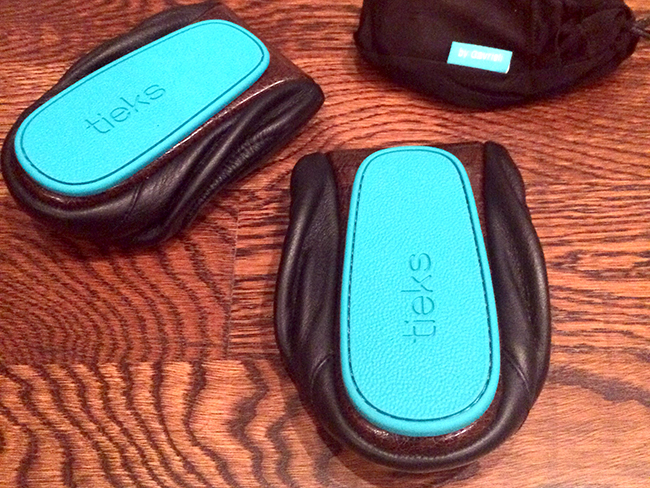 With particularly fussy feet in a not normal size (10 and a half, whyyyy), I was psyched to hear about Tieks. They promise to be the most comfortable flats ever with a specially padded insole, and what's more, they fold up and come with a little bag so you can also use them to switch out of heels when they get uncomfortable. The price was my initial deterrent (the pair I was ogling was $175 but they range over $350 depending on the style) but after reading tons of reviews and checking out their return policy (free return shipping!) I decided why not and ordered a pair in matte black, size 11. So Tieks are known for their great customer service. Well, their "great customer service" totally creeped me out! I did not connect with or like Tieks on Facebook, nor did I create an account on the Tieks website using my Facebook account, yet they sent me an immediate Facebook message confirming my order and letting me know it would be on its way soon and then sent me order updates every day. Umm, what? Hello privacy violation. It wasn't something that would deter me from shopping with them, but come on. They also were emailing me those updates, which certainly would have been enough. Three days later (so speedy!) they were in my mailbox. I was really excited to try them on, especially since they came in such adorable packaging. Initially I loved them (as you may have seen on Snapchat haha). The extra cushioning on the bottom really does make a difference, and I loved that they folded up since I often want to change out of heels. They're just plain old black flats but they were cute. Well since my feet are so finicky and these were so expensive, I decided to wear them around the house for a few days before committing (as long as you don't wear them outside you can still return them). After the initial elation, I realized that they don't have any arch support. Nada. They have a padded insole but it's completely flat on the inside. I assume this is so that the folding thing can function - if there was any contouring inside it probably wouldn't fold correctly. Of course this design issue also meant that I couldn't buy an arch insert since that would also stop them from folding. The lack of arch support may be fine for some people, but for me I need a supportive shoe if I'm going to be standing all day. The second thing I didn't like was the elastic around the main body of the shoe. After a bit it started to dig into my feet and really started to hurt, especially around my big toes and the heels. I know that Tieks are supposed to stretch and get more comfortable with time, but after a week of wearing them around the house the problem didn't get any better. I also felt like because the elastic was so tight I couldn't go down a size, but they also didn't feel totally stable on my foot when I walked, like the heel was about to come off my heel at any second. The final thing that bothered me was a little silly, but since the shoes don't have much structure on the top, they're stretched over my toebox which means you could see the outline of my toes right through them. You can see it in the picture above - both of my big toes are making major dents, and in person I could see the rest of my toes too. 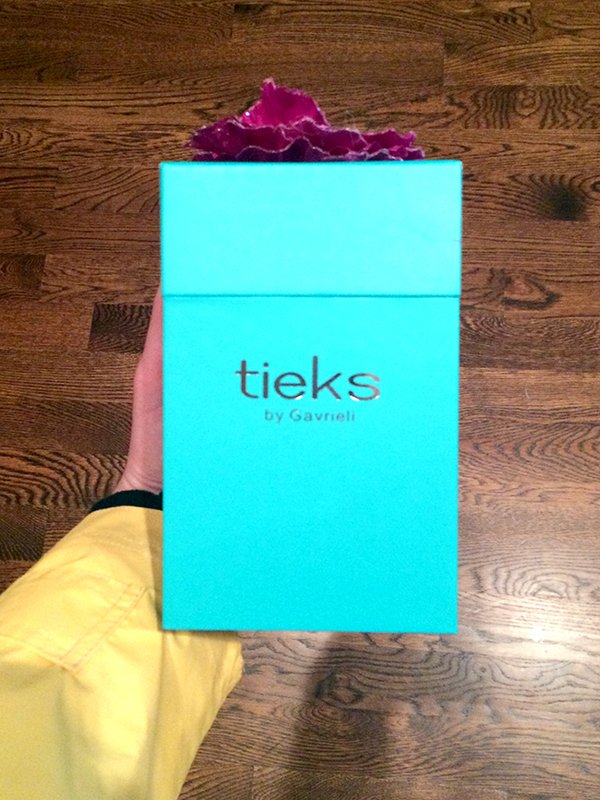 So all in all, I decided Tieks weren't for me - back to the store they go! I'm having the EXACT same experience with the same pair of mathe black Tiek's. 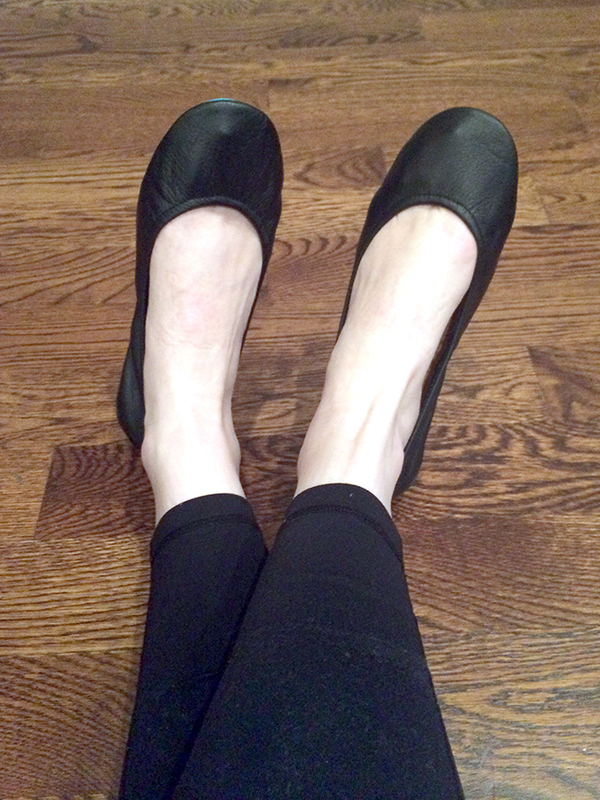 I'm desperately trying to find comfortable ballet flats that I can wear without any kind of liner. Just curious if you've had luck with a different brand?? Thanks! I have rothys and love them! Very comfortable and you can throw them in the wash when you want to. They are made from recycled water bottles and much cheaper than tieks! I was very hesitant about buying them because of well.....the price and flats generally bother my feet. 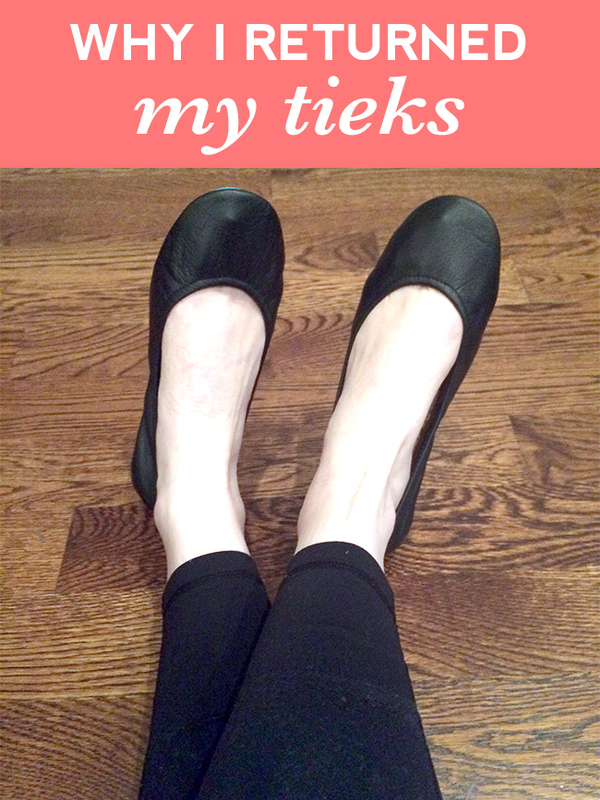 I LOVE my Tieks and wear them almost every day. I'm now faced with the daunting decision of which color to choose next.